How can you tell when your cooling system is in need of a tune up. To begin, typically your cooling system will blow cold air and keep your home dry from humidity. An early indication is that your system isn't blowing cold air. During severe storms the power could have knocked off and a fuse could have been blown. The relay switch in the system could be stuck causing it to blow hot air. Our experts can easily test the electrical system and replace any parts in question. 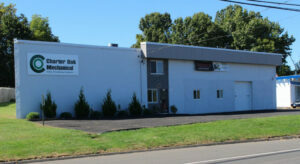 Charter Oak Mechanical are HVAC specialists serving Manchester CT, Bolton CT and all surrounding areas. Please call if you feel like your AC system may be in need of a tune up.